The upgrade is a reflection of the Vietnamese economy's rapid expansion and improvements in the government's "institutional settings", S&P said. The S&P Global Ratings’ raising of the national sovereign credit rating for Vietnam showed that the positive changes of Vietnam's macro economy are clearly recognized in the eyes of international credit rating organizations. Accordingly, S&P highly appreciated the direction and administration of the Vietnamese Government. Consistent and strong improvements of the macro economy, along with political stability continue to be a testament to the remarkable institutional reforms. S&P also believes that these positive results will continue to be improved in the future, positively supporting Vietnam's national credit profile. 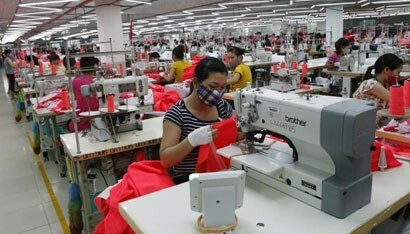 The Vietnamese economy is expected to continue its rapid expansion, with improvements in making policies and upgrading ratings. With many positive judgments, in addition to upgrading long-term national credit for Vietnam to "BB", S&P will continue to consider raising the national credit rating for Vietnam in the near future if the solid economic and the institutional environment help improve financial results better than expected. Earlier, Moody's credit rating for Vietnam was last set at Ba3 with a stable outlook in August, 2018. Fitch's credit rating for Vietnam was last reported at BB with a stable outlook, in May, 2018. This is the first time after 9 years (since December 2010) of maintaining the rating level "BB-" that S&P has raised the national sovereign credit rating for Vietnam. Practical activities in working with international credit rating organizations in providing information of Vietnamese agencies and organizations have helped S&P in particular and international credit rating organizations in general change their outlook on Vietnam in a more positive and regular way, bringing practical effects to the economy in the coming years.